When you buy a car, you take it for a test drive. When you pick out new clothes, you try them on. Why should purchasing packaging equipment be any different? We want to be able to show our customers how much of a difference the packaging equipment we sell can have on their operation, and why the equipment we offer is second to none. That's why we're happy to extend our Automation Summit invite to you. The event will be running from August 29th to September 16th. We will be featuring Case Forming, Tray Forming, Inspection Equipment, and many others on our showroom floor (Stretch wrapping, shrink wrapping, food sanitary conveyors, etc.). 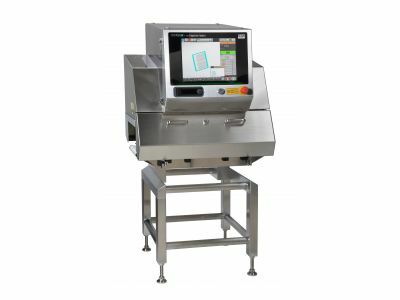 We will be showcasing X-Ray detection, Metal Detection, and Checkweighing at our Automation Summit this year. Anritsu's line of inspection equipment is the most accurate on the market to date. We are a proud partner with Anritsu and will be giving you the chance to see what makes their inspection equipment state of the art. With all the modern interest in multitasking, packing machines continue to offer more and more options. However, IPak believes that there’s something to be said for doing one thing and doing it well. That’s why, with the TF-100 tray former, they have created a machine that specializes solely on forming 4-corner trays. Efficient, high-performance and easy to use, the TF-100 is an amazing value for anyone in the beverage, hygiene, pharmaceutical, electronics or processed foods industries. In the world of manufacturing, case forming is its own bottleneck. You can be great at manufacturing, assembling and quality testing your product, but if you fall short on getting it packaged, you’ll fall behind in shipments and, as a result, fall below your sales expectations. Thankfully, Wexxar offers a range of case forming equipment – including the fully-automatic WF30 – that can help you match your shipping speed to your production speed. Head on over and try your own cases out on this case former. Anyone or any company interested in trying out this equipment should head over to our events page to Reserve Your Spot Today. With the Automation Summit being just a week away, slots are filling up fast. Make sure you have your time reserved and don't miss this incredible opportunity! If you have any questions, or would like to know more, feel free to Contact Us at any time.